I’m writing this on November 20th, National Bereavement Day in Canada. If this comes as a surprise, know that this is only the second year that we have marked a day for bereavement. The theme this year is “grief and bereavement is a part of life” and with that in mind I would like to share with you some books on life and death. 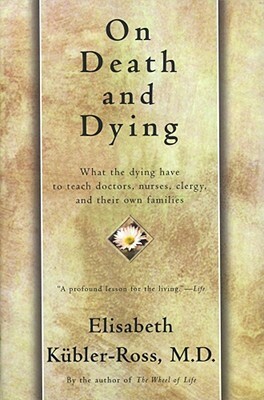 I would be remiss if I didn’t start with one of the most well known books in this area On Death and Dying by Elisabeth Kübler-Ross. First published in 1969 and reprinted countless times, Kübler-Ross explores the five stages of death which we commonly talk of now as the five stages of grief. Beyond looking at these stages that each individual may or may not experience the book is valuable for its open discussion of a topic that we often avoid. With that in mind I have pulled together several other books that don’t shy away from the subject of death. Being Mortal: Medicine and What Matters in the End by Atul Gawande guides the reader through some uncomfortable truths about the limitations of modern medicine. While we have progressed so far scientifically we may have more progress to make psychologically. How so? Well we may choose a risky surgery in the hope of full recovery when in truth it may put off death, but not bring us to the strength we imagine. In this instance perhaps hospice or palliative care would provide better quality of life in the time that remains. Ultimately, Gawande challenges the reader to consider quality of life over pure survival whether using a surgical example or in looking at care in nursing homes. Thinking about quality of life leads one to think about the choices we make in how we live our lives and whether or not we are in the driver’s seat when the end comes. 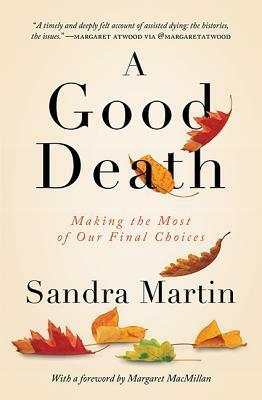 Sandra Martin explores the right-to-die movement in Canada and overseas in A Good Death: Making the Most of Our Final Choices. This is no dry academic dissertation on physician assisted death, but rather an exploration of our fears around dying and the timing of death. The individual stories of Sue Rodriguez among others bring life to the legal side of things. It is these personal accounts that make for a riveting read. All the books I’ve shared thus far have in common personal narratives. Kübler-Ross transcribes conversations between doctors and patients, Gawande goes so far as to bring us into people’s homes, and Martin blends history, court cases, and personal narratives. Thus, it seems only right to end with When Breath Becomes Air by Paul Kalanithi. This is a very personal account of life after diagnosis of stage IV lung cancer. 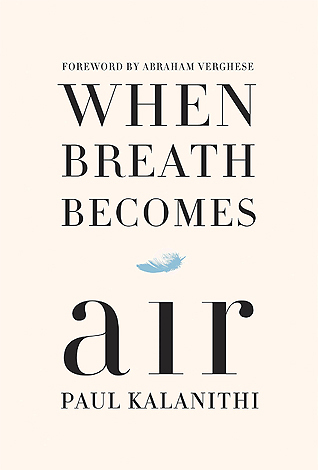 However, Kalanithi also uses the book as an opportunity to reflect on his life as a neurosurgeon. This looking back makes it more than his story, there are the stories of patients saved and lost. Taken as whole these books provide much food for thought not only in the inevitability of death, but in how we think about it and talk about it. I encourage you to choose one of interest and read it, think hard, and be willing to have the difficult conversations.